When you’re remodeling your kitchen, deciding where you will put pots, baking pans, spices, cutlery, dry goods, and small kitchen appliances becomes one of the largest decisions. 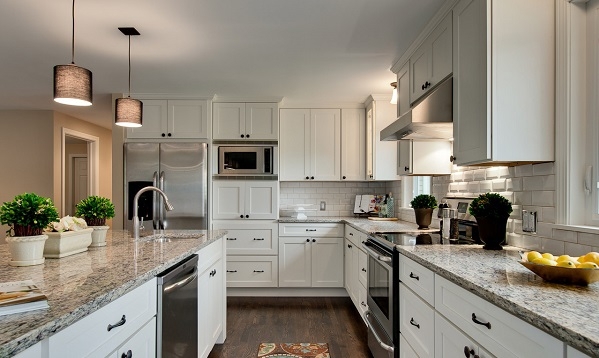 Increasing storage organization is one of the top priorities for homeowners wanting to remodel their kitchen. 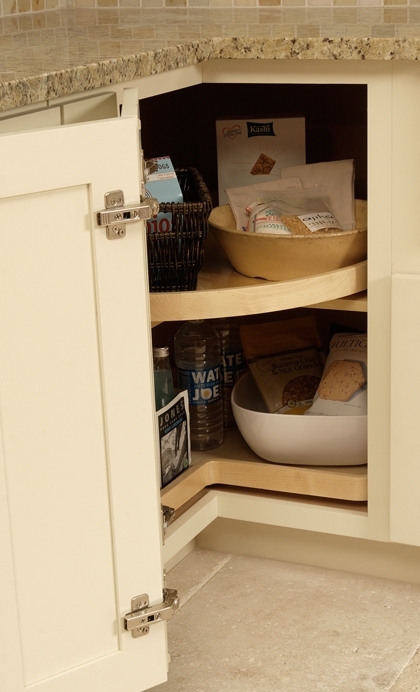 The Super Lazy Susan – Corner access with two independently revolving solid wood shelves and no post in the middle means everything is in easy reach. 3-Drawer Base – Full extension solid wood drawer base cabinets are perfect for organizing small items found around your kitchen such as utensils, garbage bags, towels, cleaning products, and small appliances. 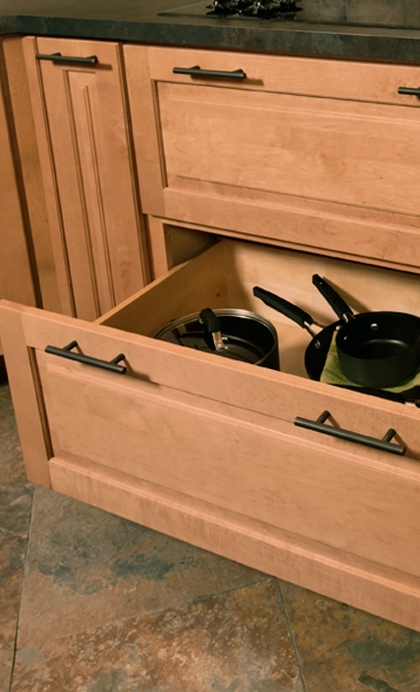 2-Drawer Base – Heavy duty full extension runners on these solid wood deep drawers are able to hold your larger pots and pans, woks, crock pots, Tupperware, and more. 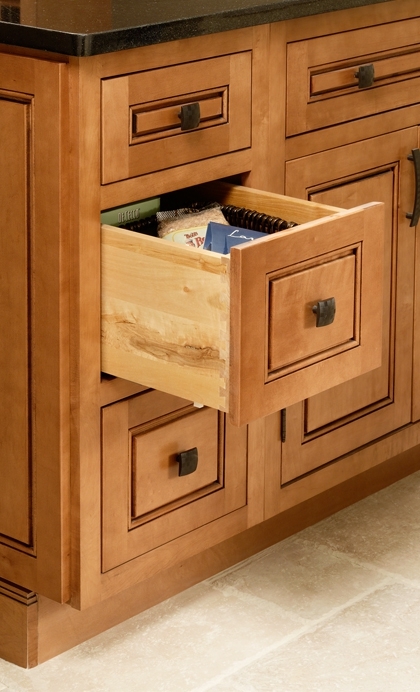 If you’re searching for an upgrade to the standard kitchen cabinet, these drawers are it. Roll Out Trays – Full extension heavy duty solid wood roll out trays bring the contents of your cabinets directly to you. Roll out trays are your best option if you’re tight on budget but need your kitchen to be functional. 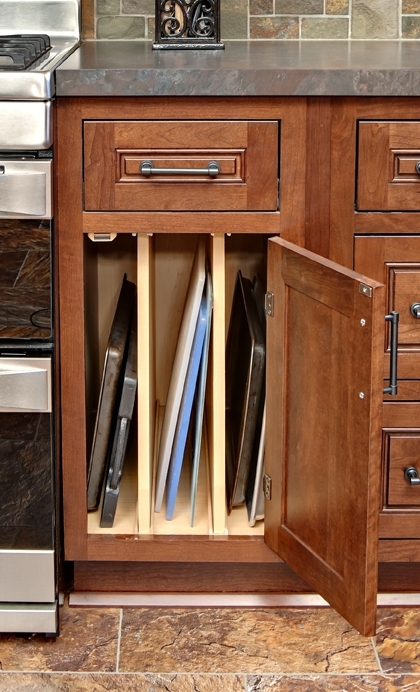 Tray Base Cabinet – The perfect cabinet for awkward sized baking sheets, pizza pans, and cutting boards. The solid wood 3/4” dividers help organize your odd-sized flat items without compromising quality. 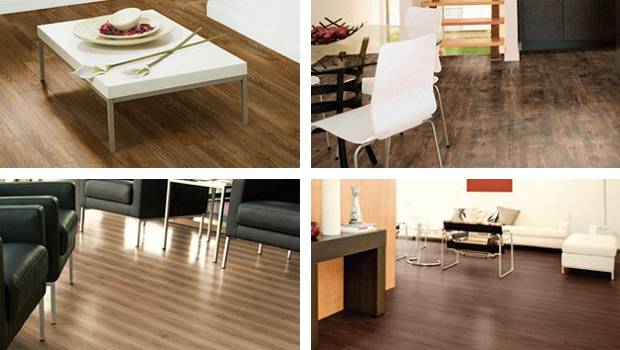 The most important thing to consider when evaluating your cabinetry options is the construction quality. 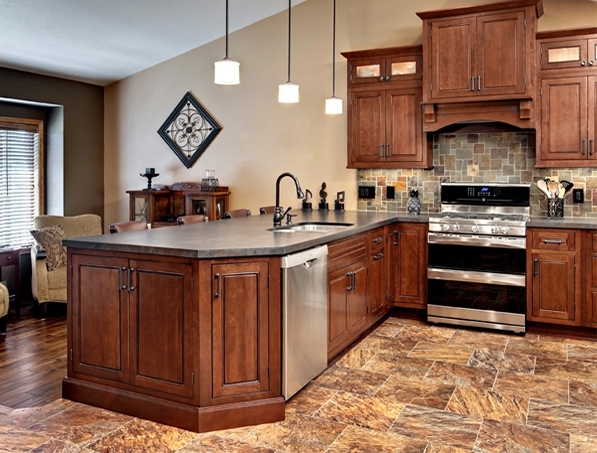 Cabinets are meant to be used and should last more than 20 years. 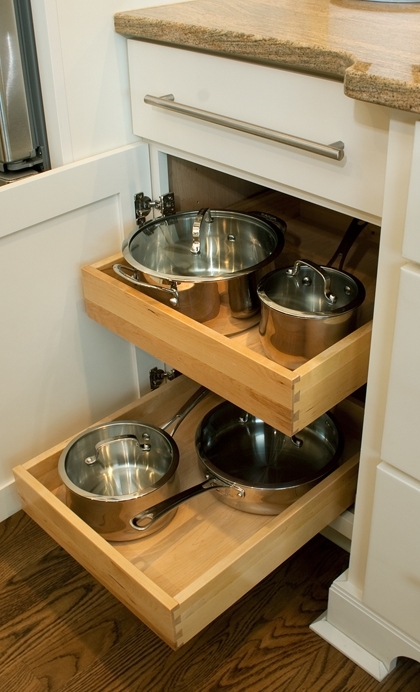 Look for full extension, steel under mount drawer glides with solid hardwood, and dovetailed drawer boxes to ensure your cabinets will last.